Multi-state cannabis operator MedMen plans to go public in Canada early in the second quarter of 2018, listing on the Canadian Securities Exchange (CSE). 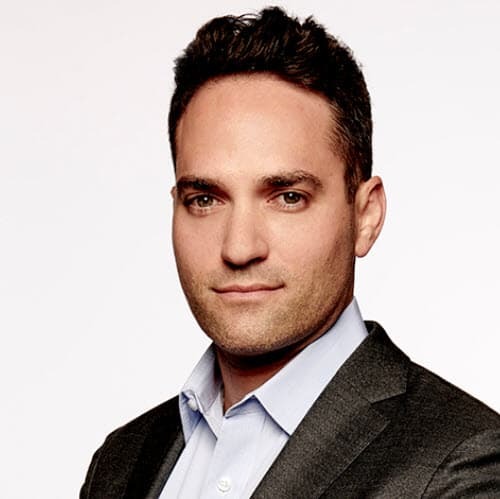 Adam Bierman, CEO and Co-Founder of the California-based company, plans to announce the move at a cannabis industry conference hosted by Canaccord Genuity in Vancouver later today. The company, which employs 700 and was founded in 2010, has operations in California, Nevada and New York and reports a total equity investment to date of $150 million. It began the process of going public in the fourth quarter and is in the process of selecting a partner for the reverse takeover (RTO). By taking MedMen public, we will be accessing growth capital in a more significant and efficient manner. It will provide the jet fuel that allows us to add even more intensity to our roll out in the most important markets in the U.S.
We are committed to brand and scale, and very proud of our accomplishments to date. That being said, we are going to accomplish more in the next year than we have since inception in 2010. A desire to provide liquidity for his investors and to have a currency for acquisitions drove the decision to go public, according to Bierman. The company doesn’t intend to raise any additional capital before its debut in trading beyond a bridge round private placement. Earlier this week, Canada-based Captor Capital (CSE: CPTR) (OTC: NWURF) announced that it had signed a non-binding letter of intent to invest USD$30 million into MedMen for a 3% stake, valuing the company at $1 billion. Captor is also in the process of acquiring i-5 Holdings, which owns two California MedMen locations, Santa Ana and West Hollywood. Until recently combining its operations into a single entity, MedMen Enterprises, the company consisted of assets held in two funds that had raised a combined $135 million, a management contract and a consulting business. Following the change in corporate structure, MedMen will have dispensaries in Downtown Los Angeles, Beverly Hills and Venice, a 45,000 sq. ft. greenhouse cultivation and production facility in Reno, Nevada, a similar operation under construction in Desert Hot Springs, California, a Las Vegas dispensary, five management contracts for four MedMen branded dispensaries (West Hollywood, Santa Ana, LAX and Los Angeles ) and a cultivation facility in Los Angeles, and a cultivation and production facility with three (soon four) dispensaries in New York. MedMen Fund II will retain a dispensary near LAX and licenses for cultivation and a dispensary in the Sun Valley neighborhood in Los Angeles, while MedMen Fund I will continue to hold some real estate holdings and 2.2 million shares of Canadian licensed producer MedReleaf (TSX: LEAF) (OTC: MEDFF), valued currently at approximately $44 million. The fund purchased the initial stake of 4.8 million shares for $7 million and has recognized proceeds of approximately $32 million as it has sold as part of the MedReleaf IPO and into the market subsequently. Building out its operations in its existing markets is the company’s main near-term priority, but MedMen is also targeting aggressive expansion into new markets, particularly Florida and other states with high barriers to entry in contrast to mature markets like Colorado or Washington. Bierman, who believes MedMen could be the largest publicly-traded cannabis operator in the world in terms of revenue (not disclosed), likes to contrast the firm’s operational expertise relative to some of the private equity companies investing in the industry. MedMen will join a short list of multi-state cannabis operators that have primary listings on the CSE. Note: Subsequent to publication, the company stated that it is still in negotiations with respect to its RTO partner and that its headcount is currently 700 (not 800).